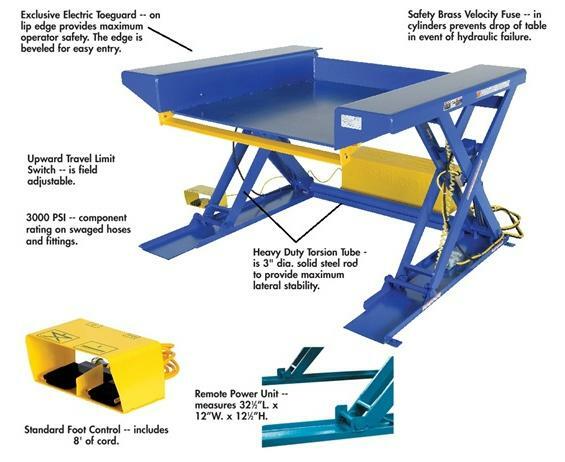 Utilize the scissors table without the expense and inconvenience of ramps or fork lifts. 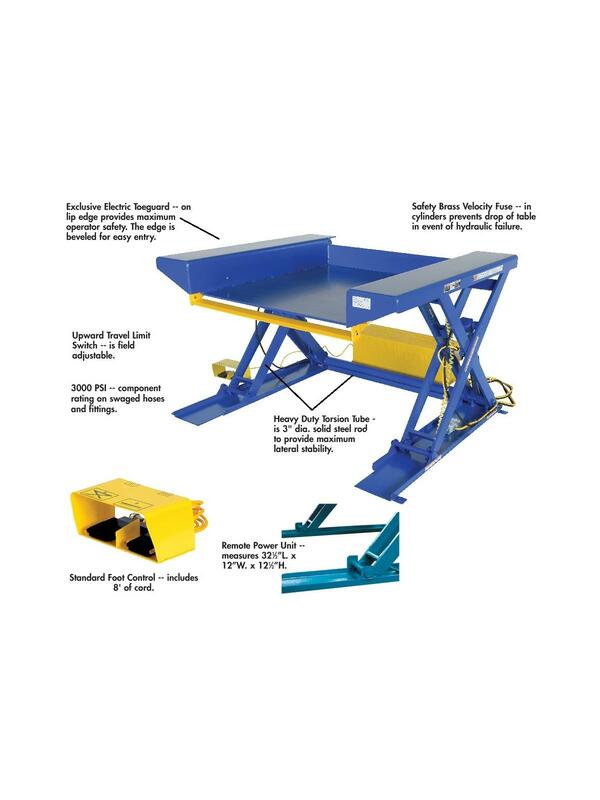 Deck lowers to floor level requiring only one person using a standard pallet truck to utilize skids, pallets, baskets, etc. Standard power is 460v, 3 phase - contact for other voltage options. Contact us for accordion skirting other sizes. FOB Shipping Point. 67 x 56 x 8-1/2"